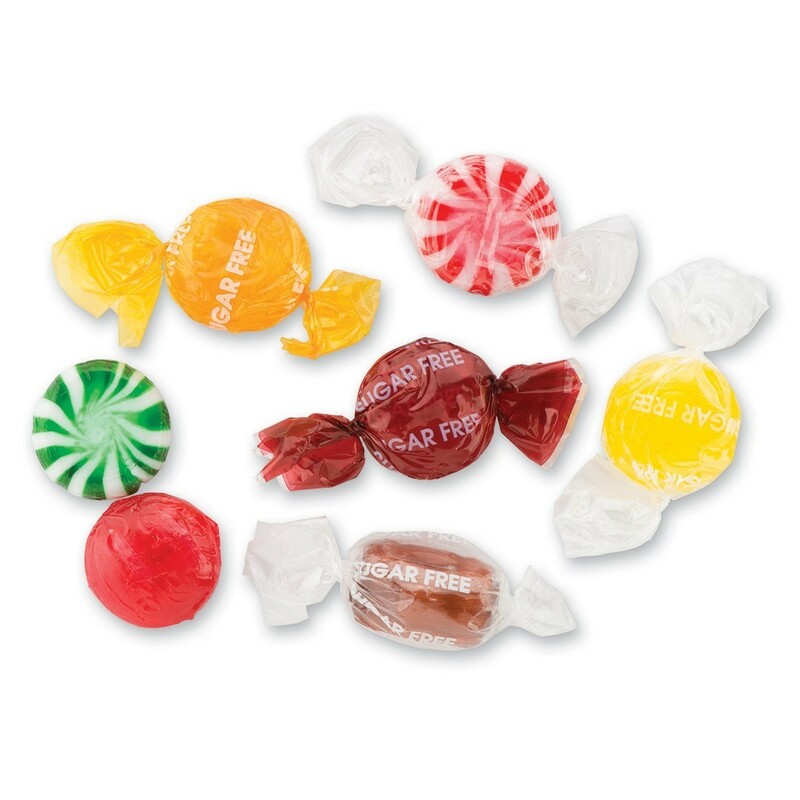 Sugar Free Hard Candy Gala Mix - 5 lbs. Mix includes peppermints, starlight mints, butterscotch and cinnamon discs, and other assorted disc candies. Approximately 395 pieces. Ingredients: Polyglycitol, citric acid, salt, color added (titanium dioxide), natural and artificial flavors, Red 40, Yellow 5, Yellow 6, Blue 1, and sucaralose. Allergy Warning: Manufactured on equipment used to process dairy, peanut, almond, walnut, pecan, nutmeg and soy protein.